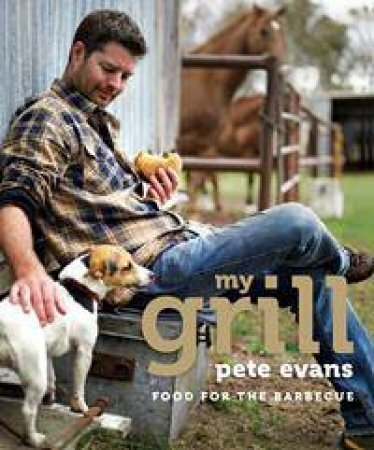 Star of Channel Seven's My Kitchen Rules, Pete Evans, takes you on a journey past sausages and steaks on the barbeque. Chef, restaurateur and TV presenter Pete Evans is fired up about a subject very close to his, and every man's, heart - the barbecue. Tongs in hand, Pete takes you through three chapters of sizzling recipes starting with a weekend away, through to a lazy afternoon barbecue and finishing with a more stylish evening affair. The recipes are beautifully illustrated and range from simple dishes like baked eggs with chorizo to a light Thai beef salad and a scrumptous parmesan and sage crusted pork cutlet with fennel salad. Each chapter also contains cocktails to add a little fuel to the fire.